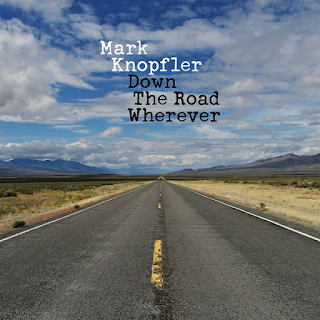 This is Mark Knopfler's first album for three years or so. You know what you're going to get from him by now - immaculately played, laid-back folky, slow tempo rock. If you like Knopfler, you will like this. It is as simple as that. Nothing much changes in the material he has been putting out for many years now. Having said that, however, I have to say that, of all his solo albums, this contains the most musical diversity. Look, it's not "Sgt. Pepper" or "A Night At The Opera" in its chocolate box diversity, but, for Knopfler, it is by far the most changeable, track by track, album he has released. His voice largely remains the same, calm and melancholic, but musically, there is quite a lot in here. It isn't all just a gently strummed acoustic guitar. 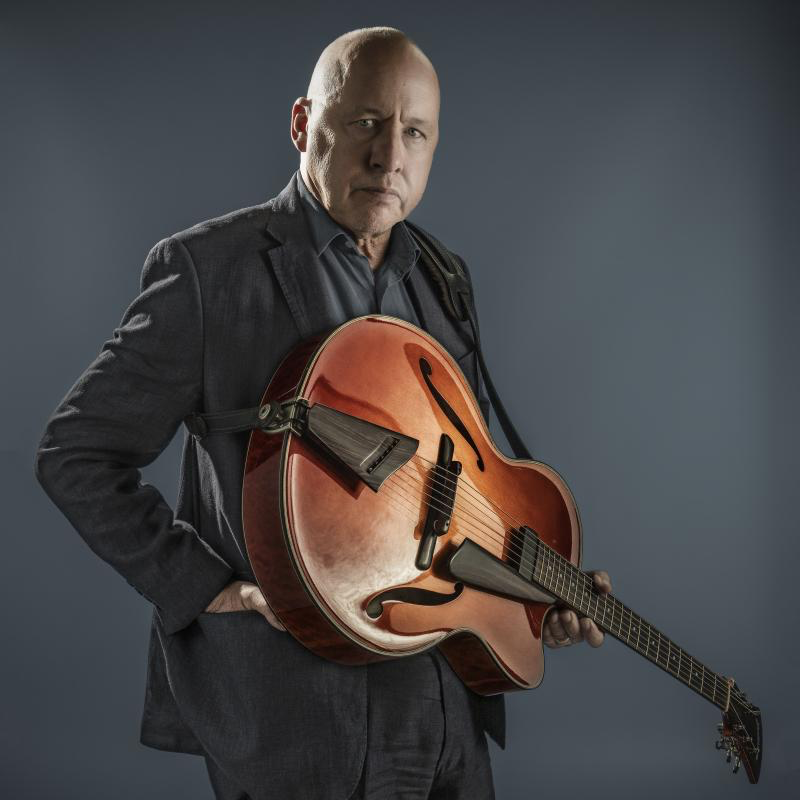 The album's opener, "Trapper Man" is a lengthy robust number with a muscular drum sound, some bluesy guitar interjections and Knopfler's usual quiet, gentle vocal. There is a contemporary-sounding drum section at one point, but largely it is a regular fare, with some trademark guitar throughout. There are vague echoes of Bruce Springsteen's later post-2000 work in places, particularly near the end. Just hints, though, in the piano riff. "Back On The Dance Floor" is a shuffling, infectious bluesy number that harks back a bit to Dire Straits' final album "On Every Street". Something about the rhythm and guitar work reminds me of Knopfler's collaborations with Bryan Ferry, notably "Valentine" from Ferry's "Boys And Girls" album. "Nobody's Child" is a typical, walking pace, sensitive song with Knopfler's quietly reflective vocal sung over some Dire Straits-style slow guitar. One thing I am noticing is he is using this old Straits guitar sound circa "Brothers In Arms"/"On Every Street" a lot more than he has done on recent albums. "Just A Boy Away From Home" is an appetising slice of slow blues, like Chris Rea's bluesy material. The leading guitar riff reminds of something but I can't place it at the moment. For some reason it sounds like "You'll Never Walk Alone". The more it plays, of course, I realise it is exactly that. What were hints have now turned into the instantly recognisable melody. The writing credits include Rogers and Hammerstein, credited for the obvious lift. "When You Leave" is a slow, fifties-influenced, smoky jazzy number, like something from Frank Sinatra's sombre, late night, feeling sorry for himself period. It is enhanced by some lovely, evocative jazzy saxophone. "Good On You Son" is more typical of Knopfler's early solo work. It tells of someone who has emigrated to Los Angeles as far as I can tell, although parts of the lyrics are somewhat inscrutable. It has some great "Young Americans"-influenced saxophone and an intoxicating, relatively upbeat (for Knopfler) rhythm. "My Bacon Roll" is one of those atmospheric, nostalgic Knopfler songs. The song appears to be reminiscing about "team building" exercises in some job or other and also a selection of traditional cafe breakfast fare. Knopfler has such a knack with quirky, beguiling songs like this. Laconic, wry and gently witty at times. "Nobody Does That" that sees old Mark getting the funk, with some punchy kick posterior horns and some funky guitar and saxophone. "Drovers' Road" has some "Brothers In Arms"-style guitar and a folky feel to it, with subtle Northumbrian pipes in the background. It is another marvellously atmospheric number. "One Song At A Time" is a lengthy, subtly rhythmic shuffler of a song that tells of Knopfler's days in Deptford, South London in the old "Sultans Of Swing" days of 1979. "Floating Away" is musically beautiful and Knopfler's sleepy voice certainly suits the "floating away" title. Some entrancing guitar on this one too. As with all his lyrics, you just feel Knopfler is a man with a lot of wisdom, a lot of world-weary head-shaking as he watches everything floating away. He is also a man with a lot of sensitivity, as the tender "Slow Learner" exemplifies. He tells of how he likes to take things slow, and sings at a suitably languid walking pace over a drowsy jazzy background. Just when you think it is all getting a bit somnolent Mark gives us a bit of jaunty, Caribbean-style rhythm on the appealing "Heavy Up". Good old Mark, though, he still sounds groggy despite the lively beat. It has some excellent Rico Rodriguez-style trombone at the end. "Every Heart Is In The Room" closes the non-"deluxe" version of the album slowly and soulfully. On the bonus track, "Rear View Mirror", Mark goes all Van Morrison/Georgie Fame on a lively, Hammond organ-driven slice of jazzy fun. "Matchstick Man" is an emotional ballad about gigging far from home in Penzance. It is a moving, thoughtful, at times uplifting, at times sorrowful and reflective album. If you like Mark Knopfler you will love it, of course. I am probably writing to the converted but I can find no reason for anyone to be disappointed.